Currently, the cases of poisoning of various vegetables, fruits and even nuts. Sometimes one party nuts goes a long way to go before to be on the market or on the shelf in the store. To protect yourself and your loved ones can be simply washed them before cleaning. 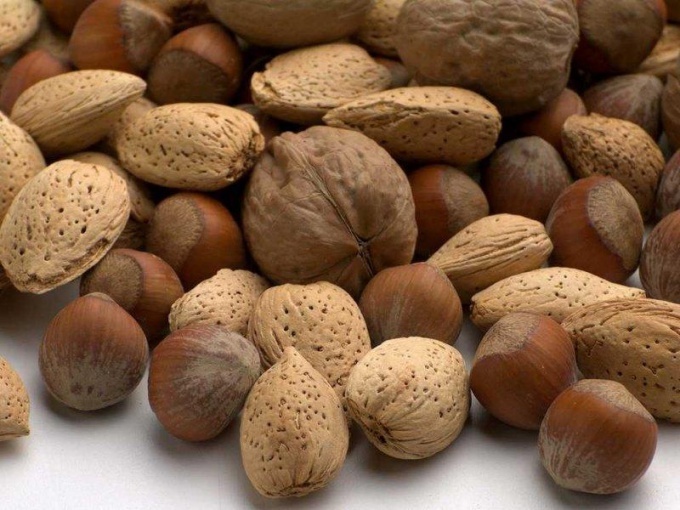 Many people mistakenly believe that washing the nuts is not necessary, and if any dirt, and then the infection is present, it will not be able to penetrate through the shell. Consider the fact that taking the nut hands, you will immediately receive their names through the mud. With the further opening of the shell you use those same hands will take the yummy fruit. And then what was on the surface of the nut is in your body. Therefore, careful handling water never hurt. Thoroughly rinse each nut under running warm water. Then dry them naturally or in the microwave. You can also use a more reliable method is the treatment with boiling water. In addition, you can open nuts with ease. To do this, pour the walnuts with boiling water and leave for 20-30 minutes. Despite the high temperature, the water can't get inside. When cool, gently mix them in water and remove. Dry, so they did not have water. Now you can not only be assured for hundred percent is safe, but also be able to access them easily with a knife or fork. This is because the fibrous layer between the shell-halves of a walnut in the boiling water quickly softened. Peanut has a second name – groundnuts. And the very fact that it grows in the ground, should be alerted well it washed. Despite the fact that visually you will not see the soil particles on the fruit, this does not indicate that they are perfectly clean. Buying peanuts in the shell, it is enough to pour boiling water. Then stir the nuts with a spoon and remove. Spread evenly on a kitchen towel and allow to dry. This measure will help to kill germs and remove plaque from the nuts. Hazelnut – hazelnut is a fairly solid shell. Cover the nuts with boiling water and leave for 5 minutes. Move them and remove from the water. Allow to dry. Cashews are sold shelled because the substance, which is immediately under the shell, is harmful to the skin, and cleaned them up pretty hard. If you purchase already peeled nuts such as cashews, walnuts, peanuts, almonds, pistachios etc., they should be parboiled, and then dried. It should be noted that after processing, the nuts should be removed from the water, for example, using a skimmer or sieve. Do not drain the water, because the particles of dirt sediment on the bottom of the container in which you washed the nuts will once again be on them.